Morning... First Christmas card of the year made from a panel I actually coloured in last year but never managed to do anything with. I'm not normally this early but I'm still trying to empty the box of bits and pieces and this was in it so I thought I might as well make it into a card at least. 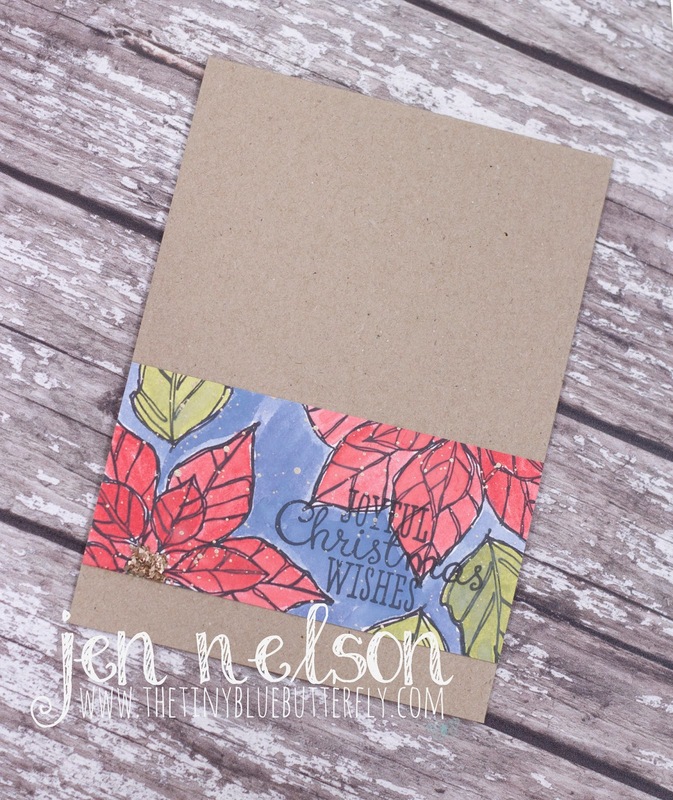 I created a panel using the poinsettia stamp from the retired Stampin Up Set Joyful Christmas. I stamped it multiple times and then coloured it in with distress oxides . I added the sentiment from the set and then splatted the page with gold paint. Its finished off with some gold german glass glitter and then mounted on a kraft card base.